If you are like me you can’t live without your Blackberry. If this is the case, the last thing you want is a clogged up device slowing you down. What can you do to prevent this? While I find Blackberry to be one of the more stable mobile platforms, there are always things that you can do to cut down on speed and memory issues. A microSD card is an essential accessory to have because they can expand your storage far beyond what the Blackberry has internally. A Blackberry generally has less than 1GB of memory and most of its internal memory is needed for installed applications and running the device. The best thing to do with your memory card installed is to format it through the Options -> Settings -> Memory and then also to make sure all media such as pictures and videos get stored on it. As I mentioned above, applications get installed into device memory and not on a memory card so you actually do have a limited amount of space for these. 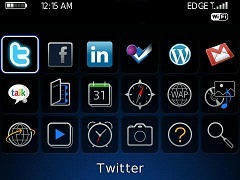 As a Blackberry nut, I know it’s impossible not to install a bunch of apps to try out on your phone. After a while I’m sure you would notice that there are a bunch of apps that you actually don’t use, don’t hide or move these to a different folder, uninstall them! Depending on how much you use your web browser this could be a huge help or just a minor memory boost. Like any browser, the Blackberry browser stores information about what you were browsing as you go, this all gets stored and takes up your precious memory. It is a good idea to periodically clear this out by opening your browser and going to Options -> Cache Operations and then clear all of the sections with the clear buttons. I know this one is simple but I think a lot of people forget about it. We know the Berry is a messaging power house but does it really need to store thousands of old emails? Probably not. It could take a while to delete all of your old emails one by one but there is a simpler way. When you are in your messaging folder you can highlight a date instead of a specific message and hit your menu key, if you click delete prior it will wipe out all of the messages before that specified date. 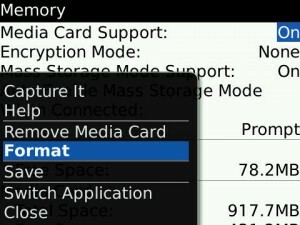 This is a tip that I wish every Blackberry user knew but I know they don’t. This should be under the lid of the Blackberry box to be the first thing you see when you open it up. The best way that I would always describe this to customers is that if you left your computer running for weeks it probably wouldn’t work that well right? So it’s the same with a Blackberry. It’s a very simple task and pulling out your battery just for a few seconds about once a week is arguably the best thing you can do to keep it running smoothly. Matt writes application reviews, tips, and tutorials for Blackberry devices at Berry App Lab.